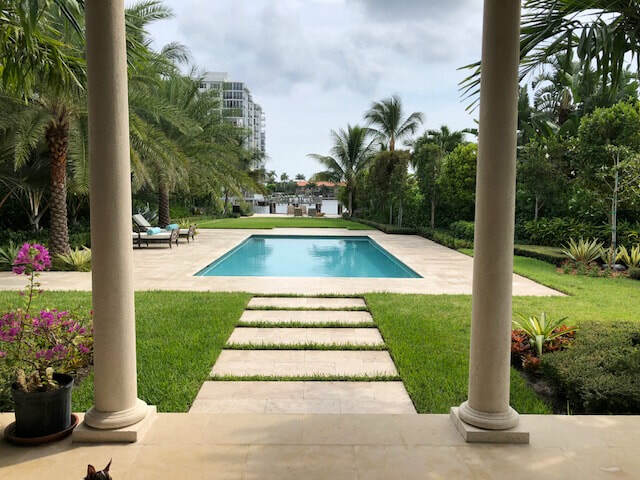 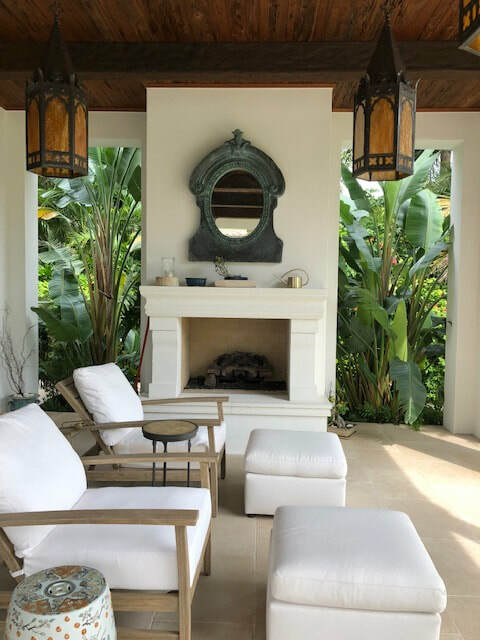 Working on a project with new construction gives the designer endless possibilities and the ability to create the perfect landscape that compliments the style of the structures architecture, the interior furnishings and the client. 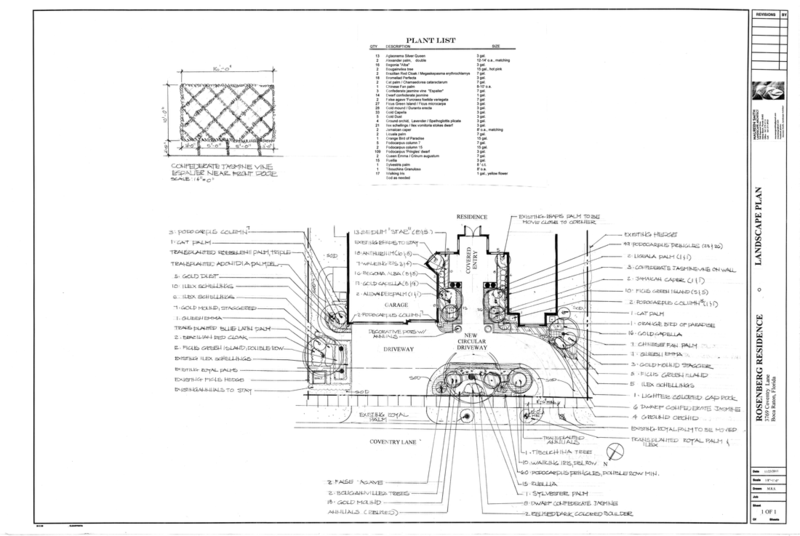 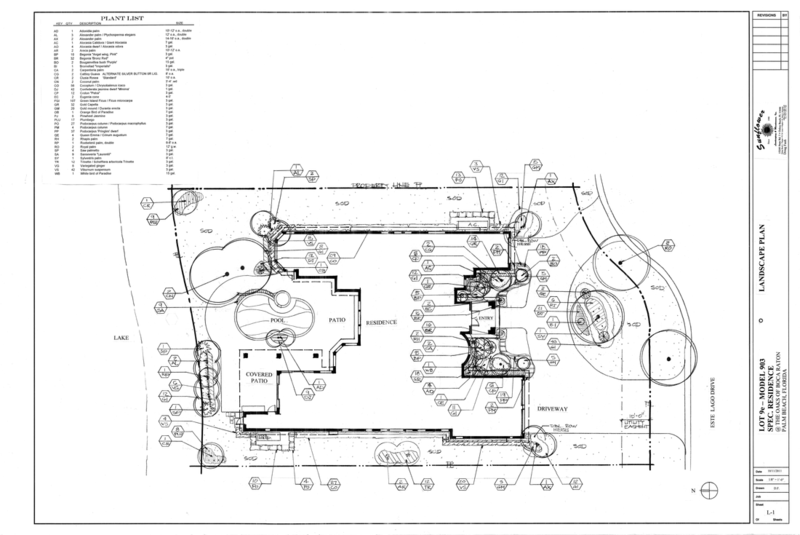 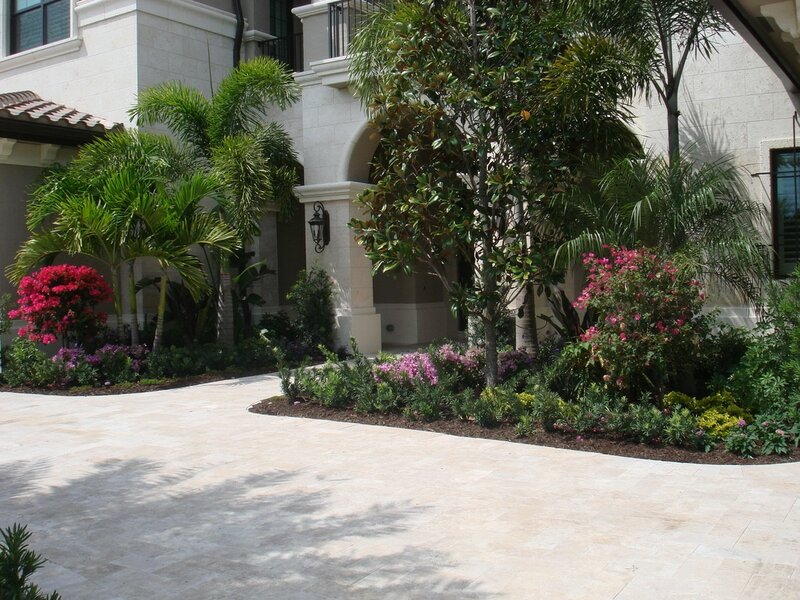 This paver design was an exciting challenge. 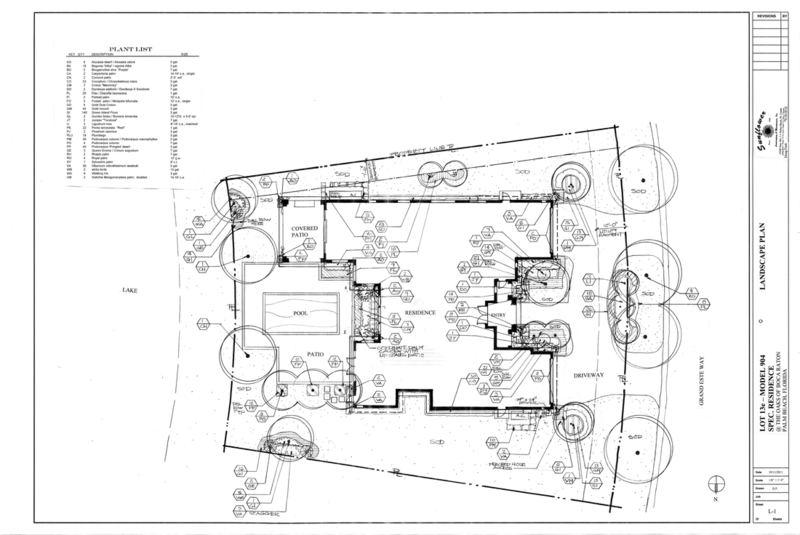 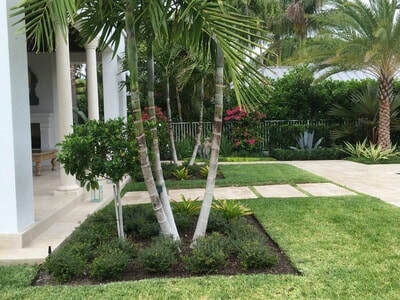 These six existing palms were located in an imperfect layout. 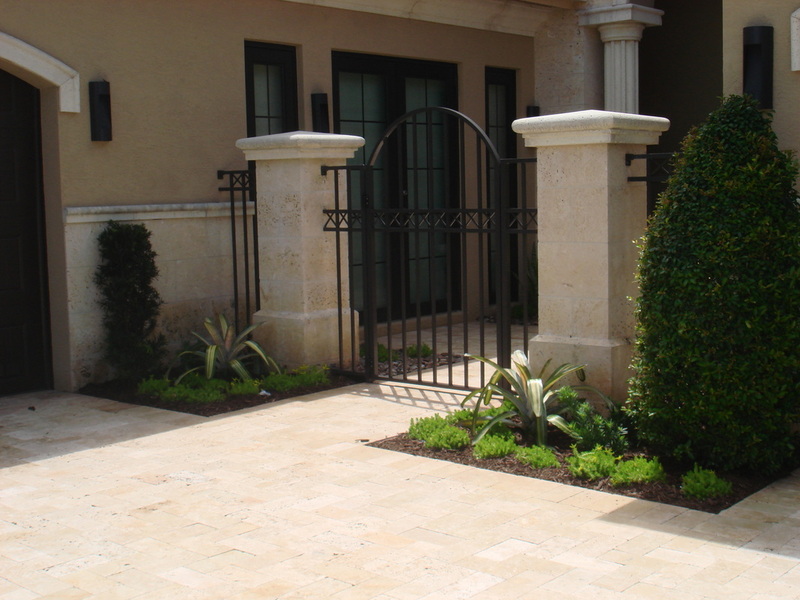 It was my task to create a paver grid that worked a pattern of different size pavers to accommodate the irregular palm layout. 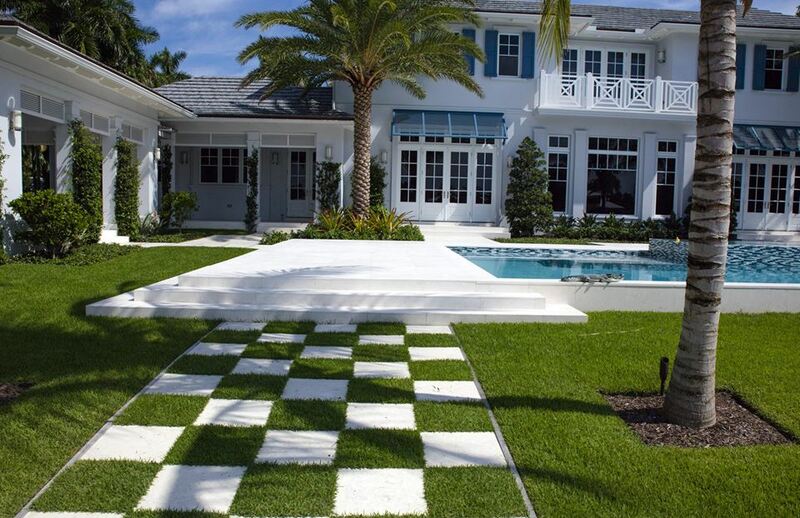 It was finished with pebbles and artificial grass. 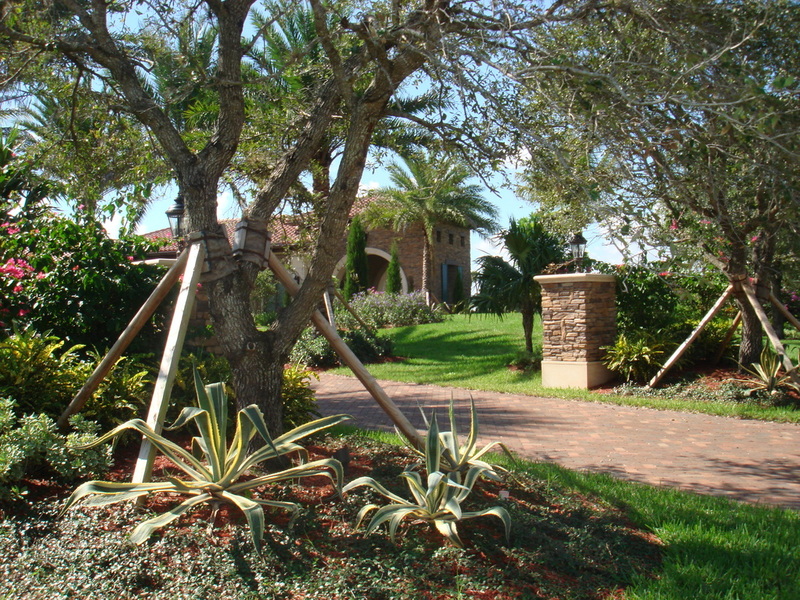 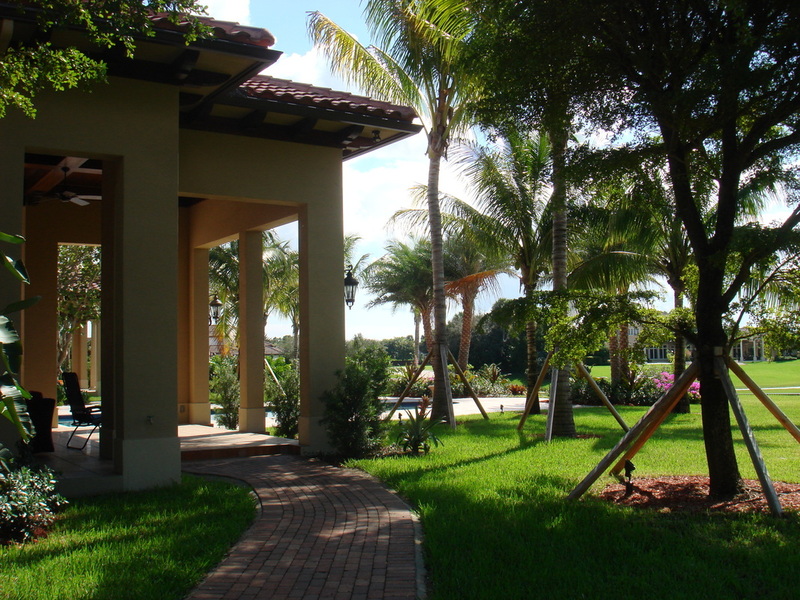 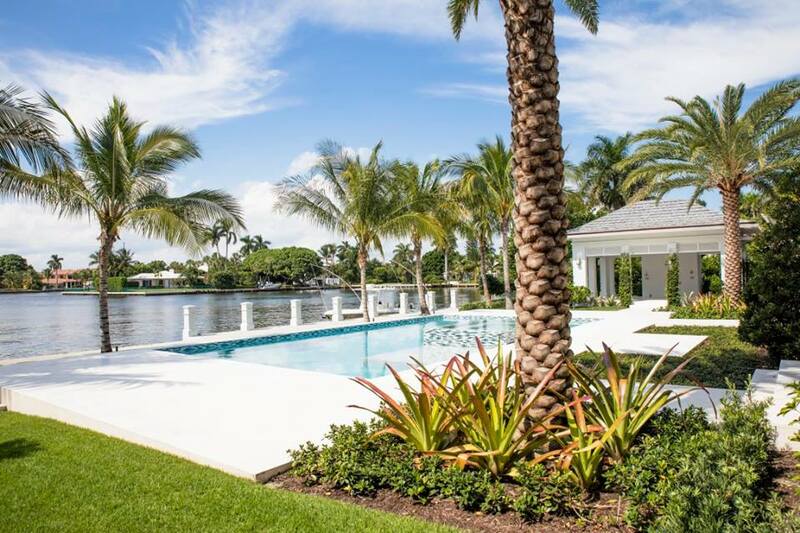 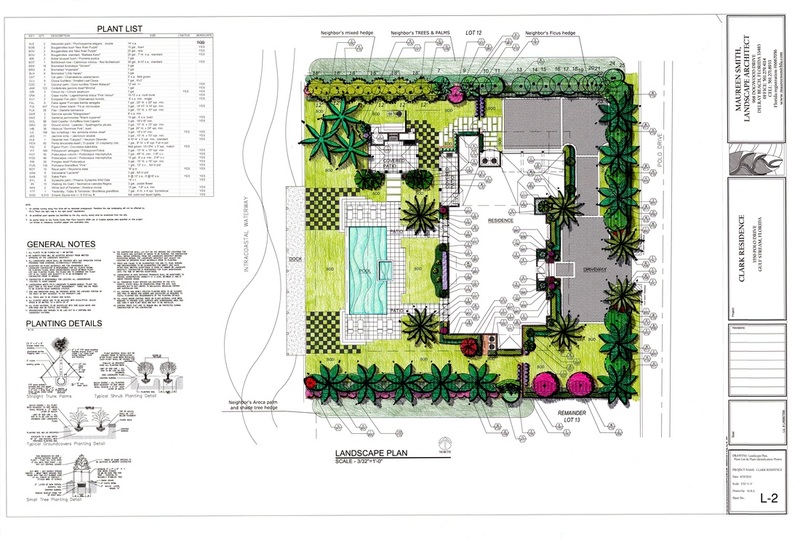 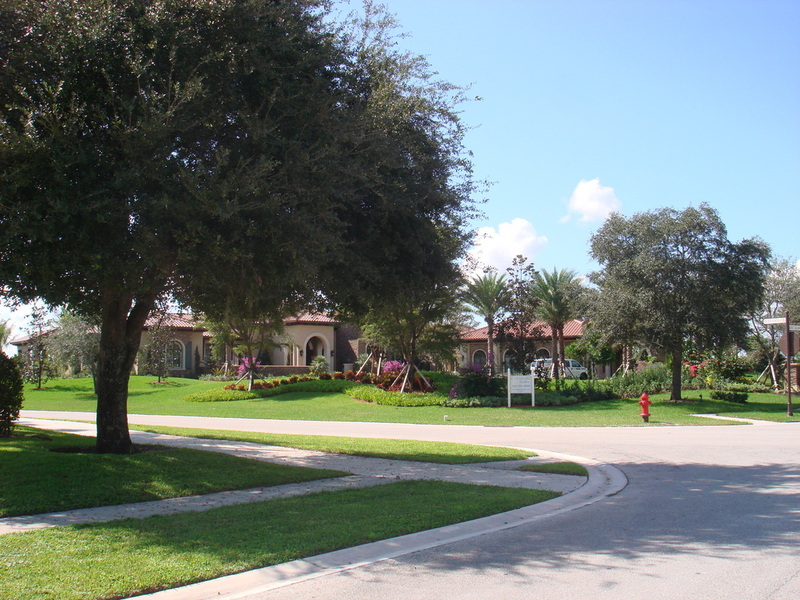 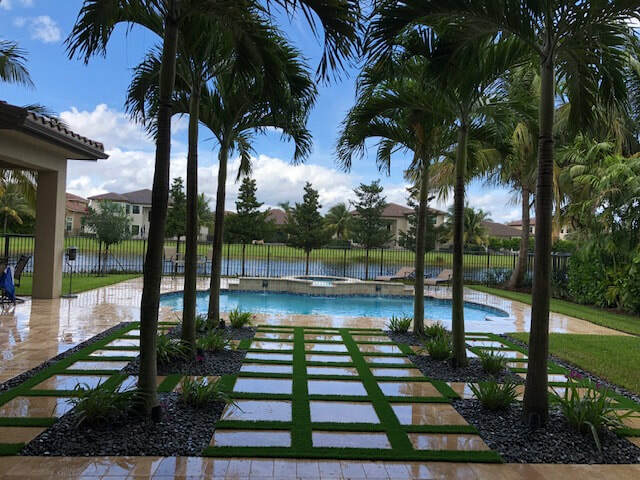 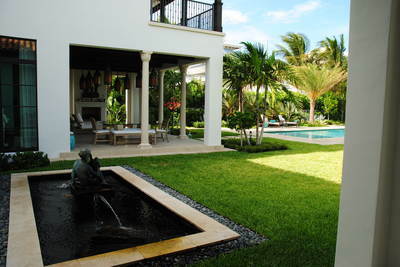 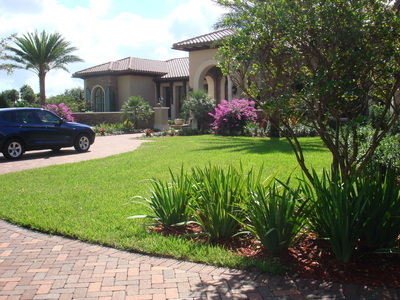 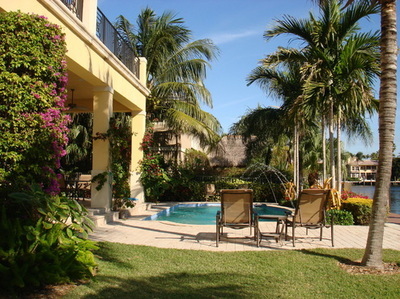 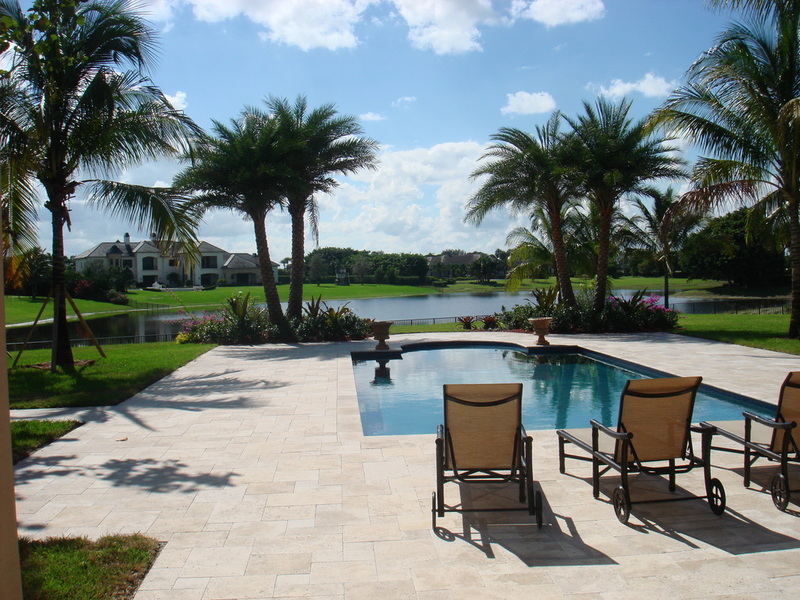 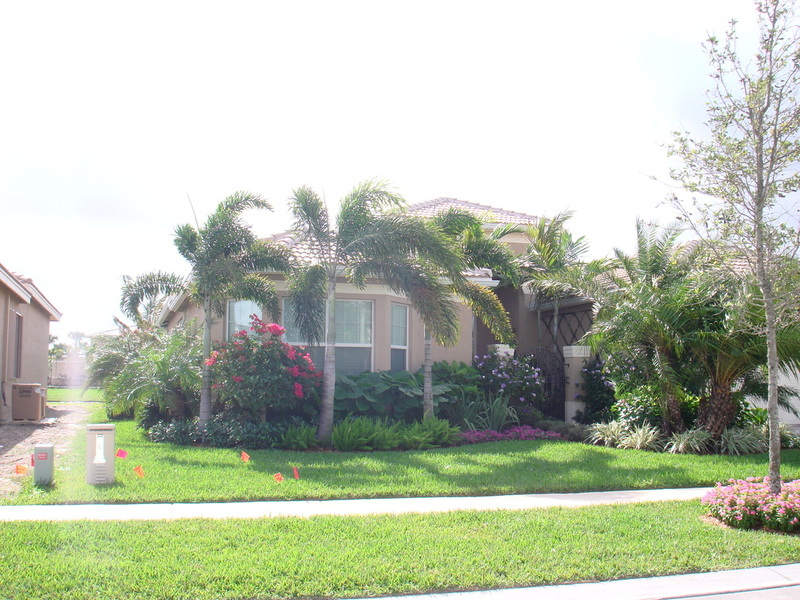 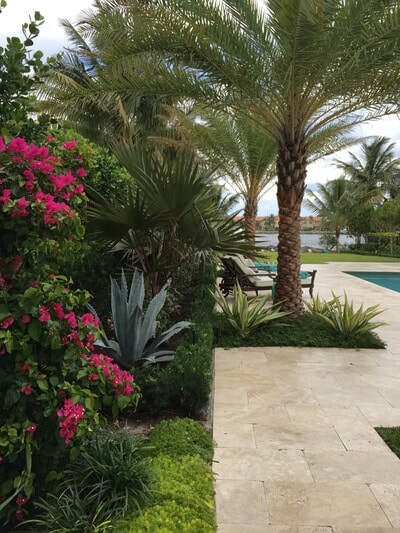 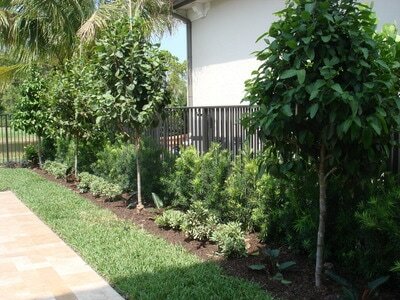 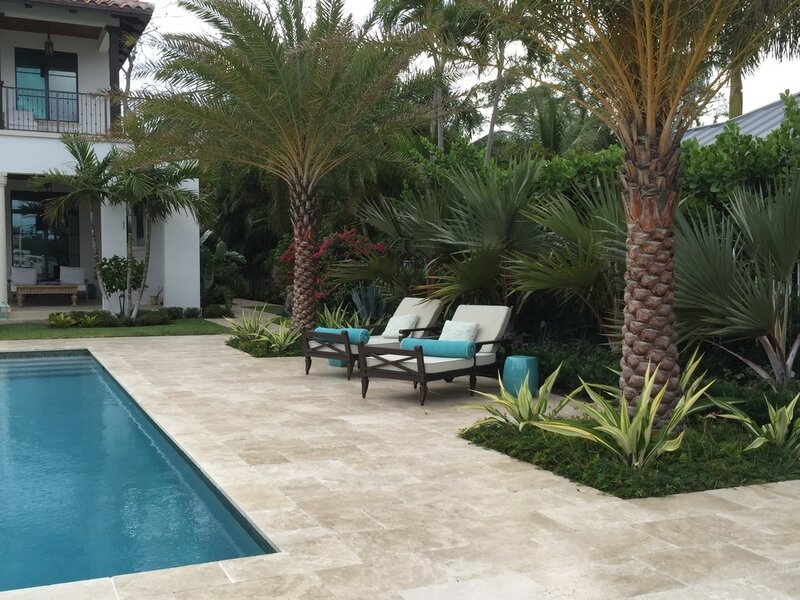 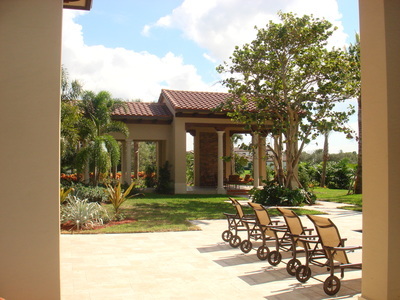 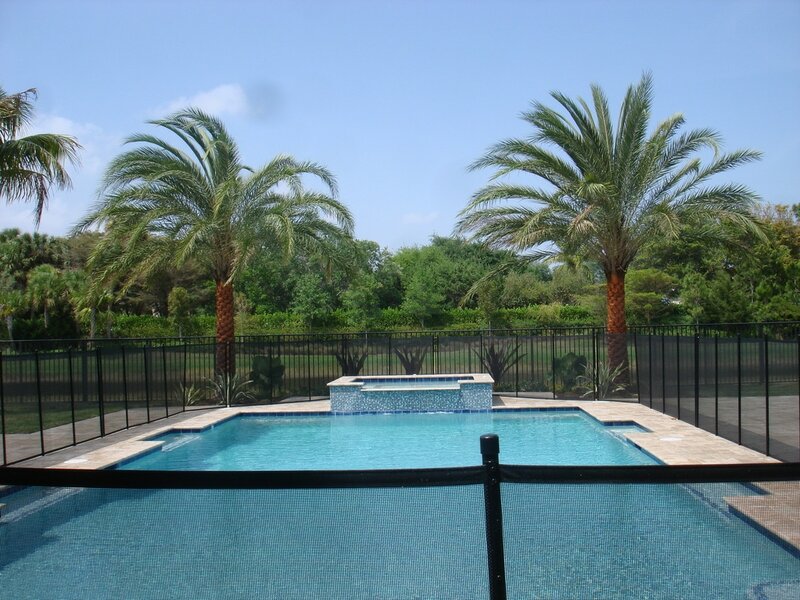 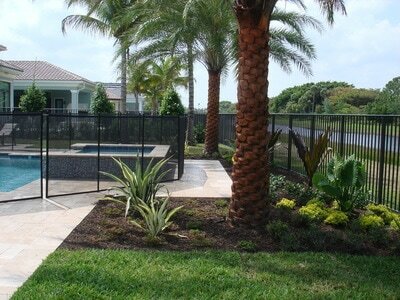 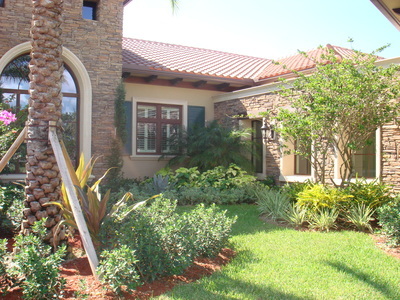 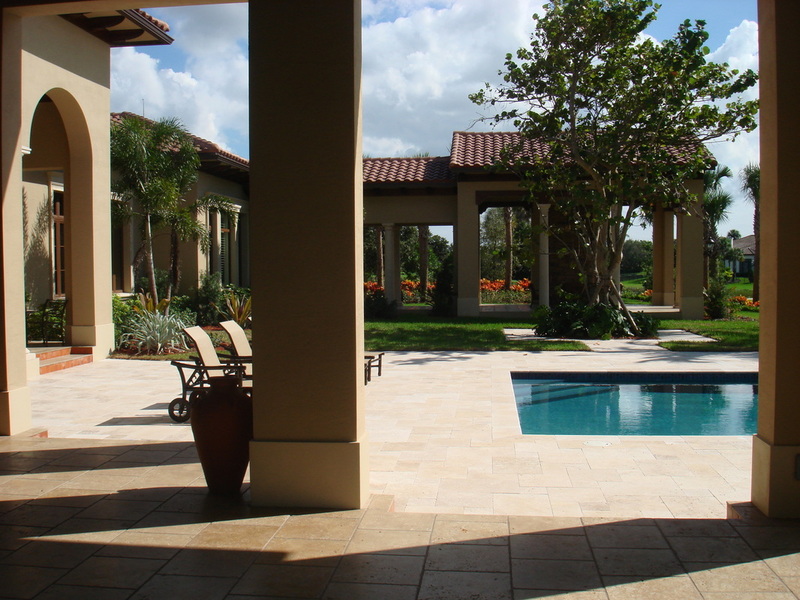 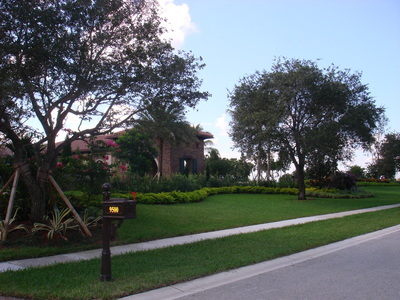 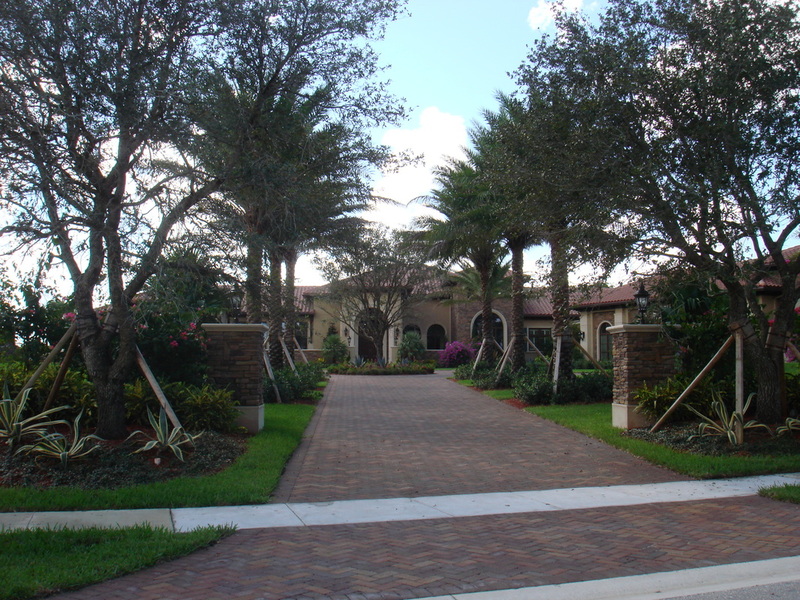 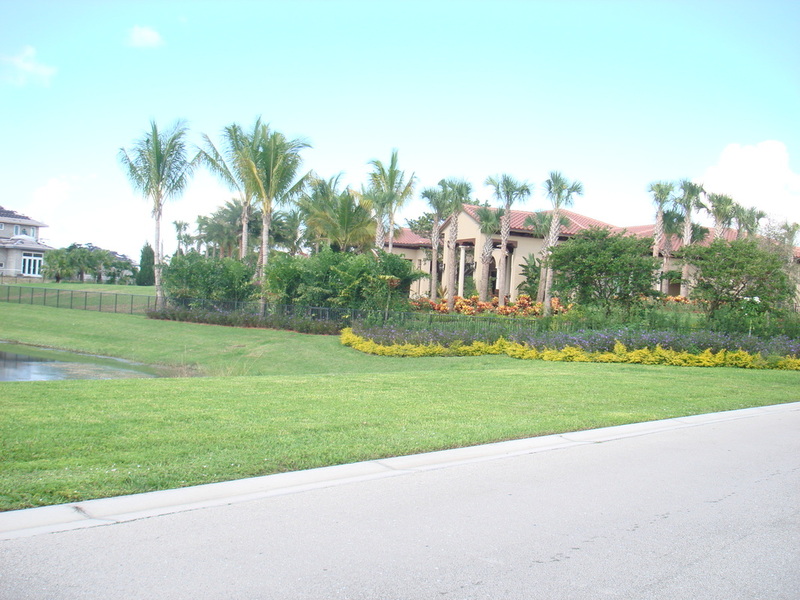 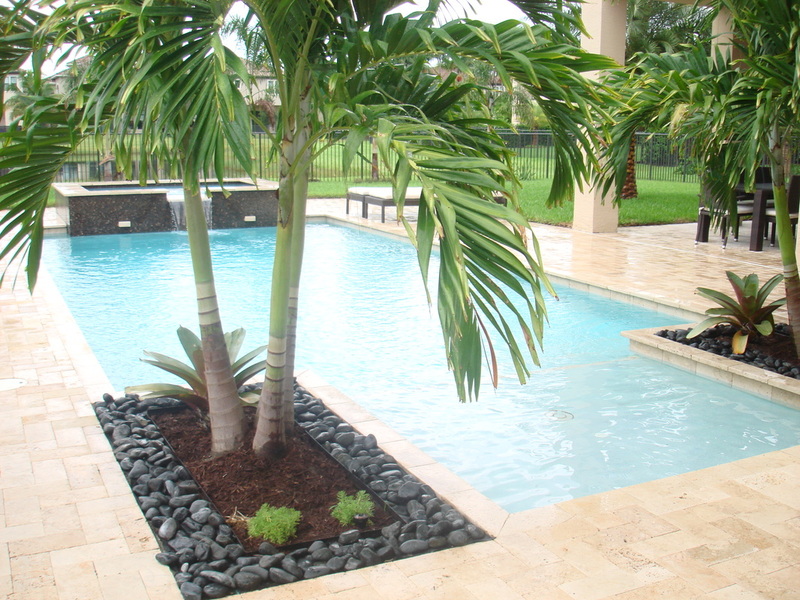 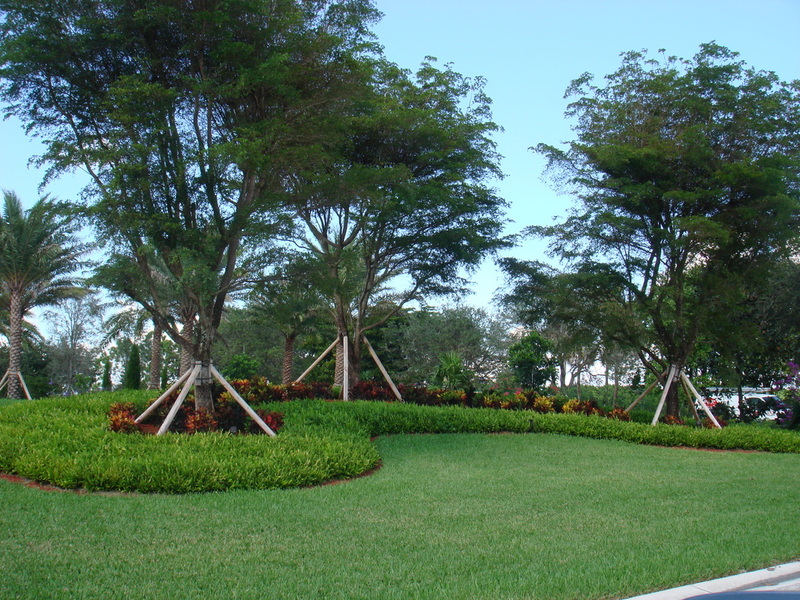 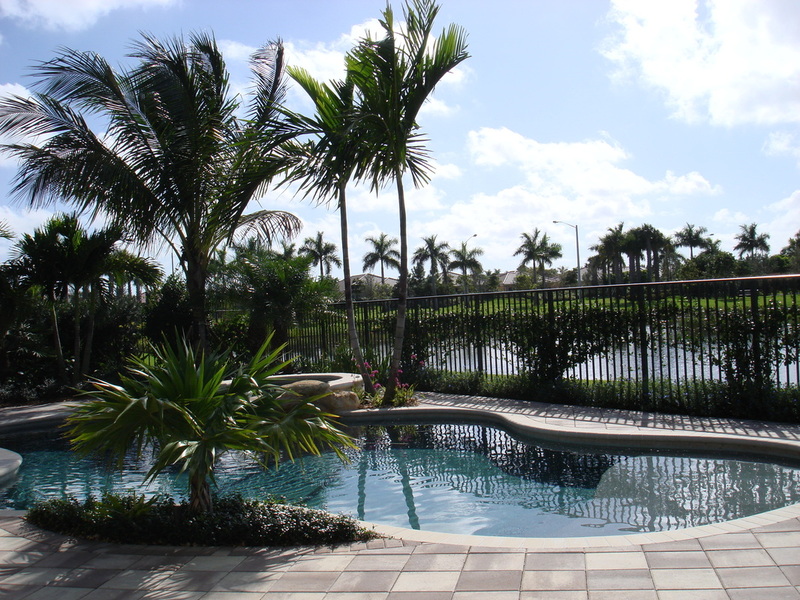 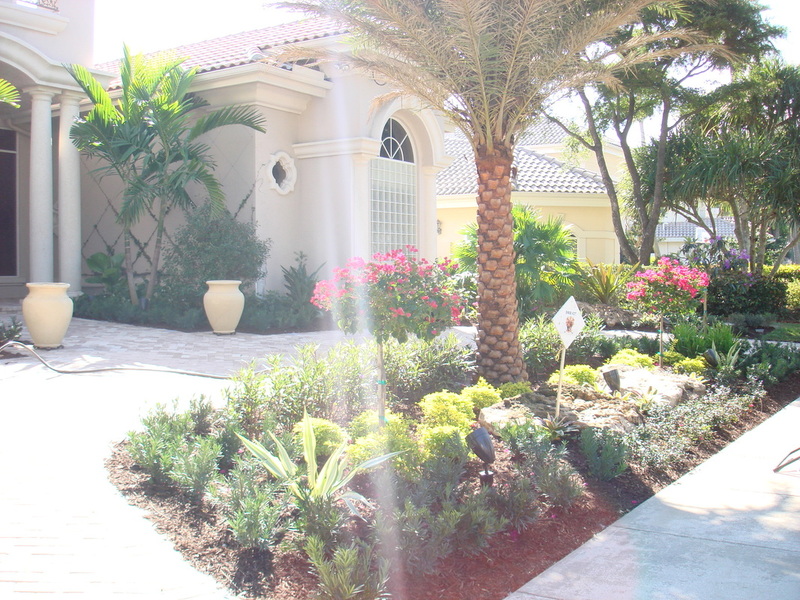 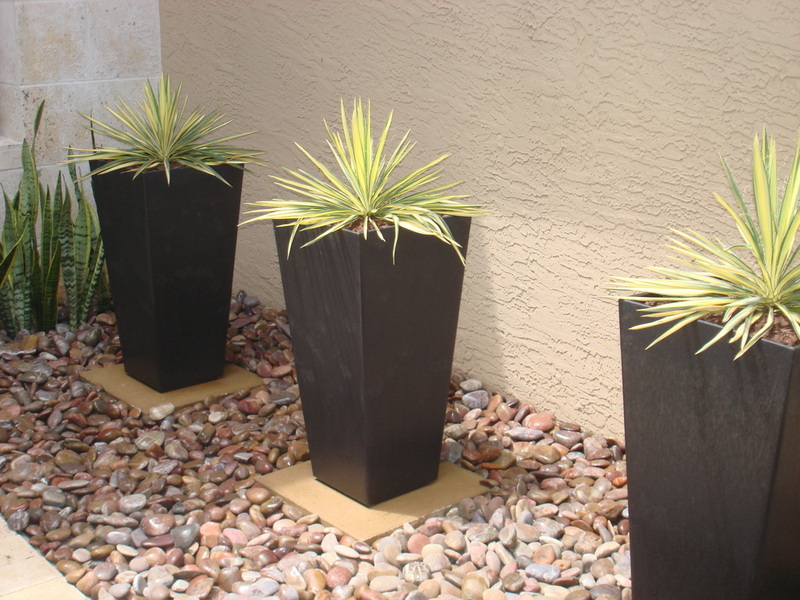 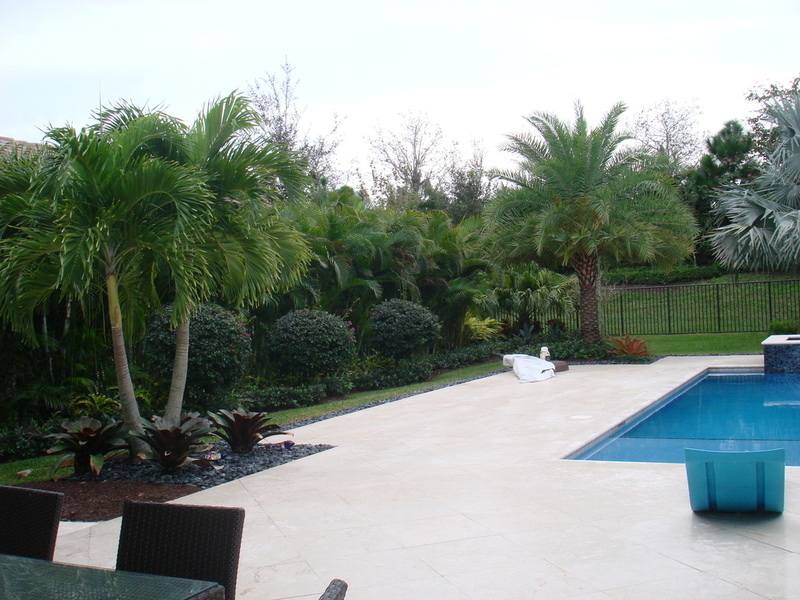 The palm trees were installed first making it a challenge to create the paver grid that the homeowners wanted. 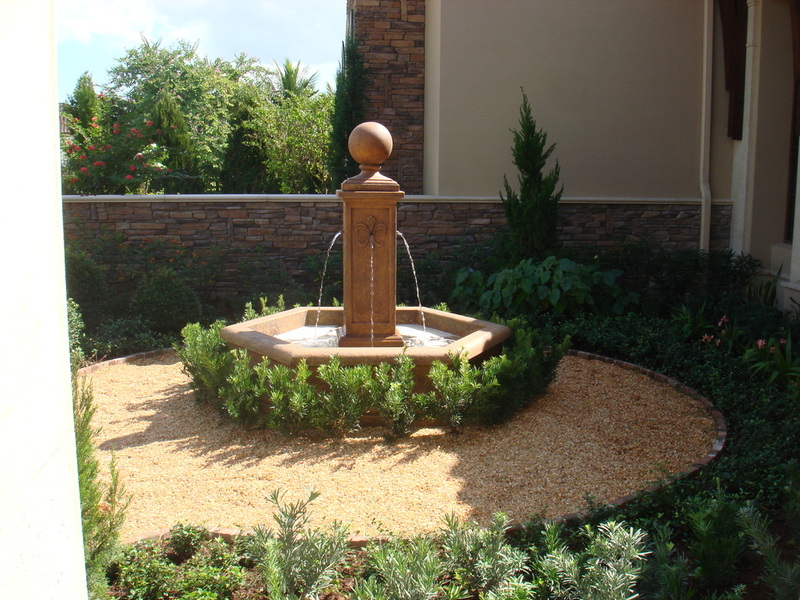 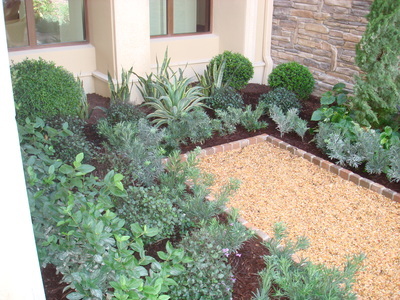 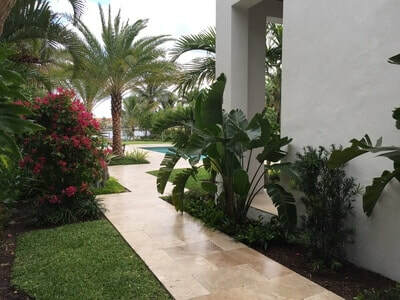 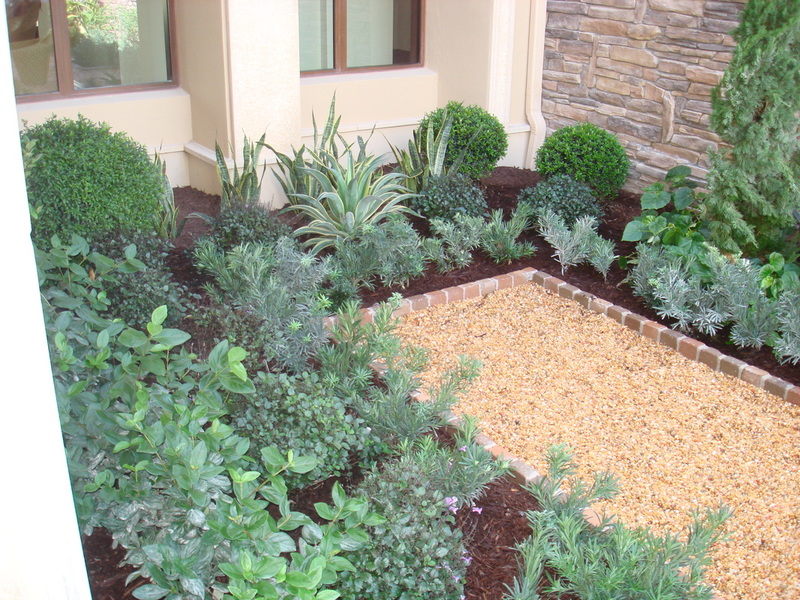 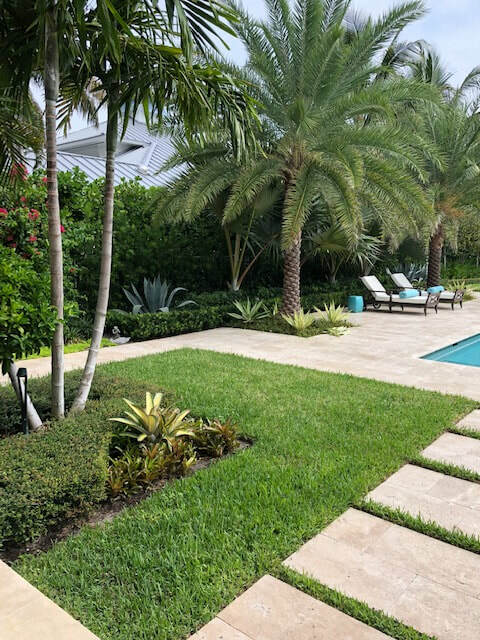 This was accomplished by finding different sizing for the pavers in a pattern that accommodated all the palms which all planted slightly out of grid. 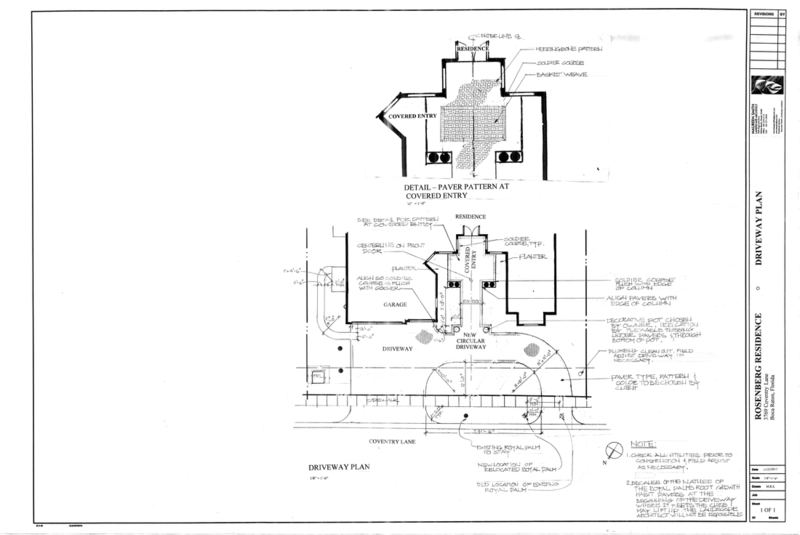 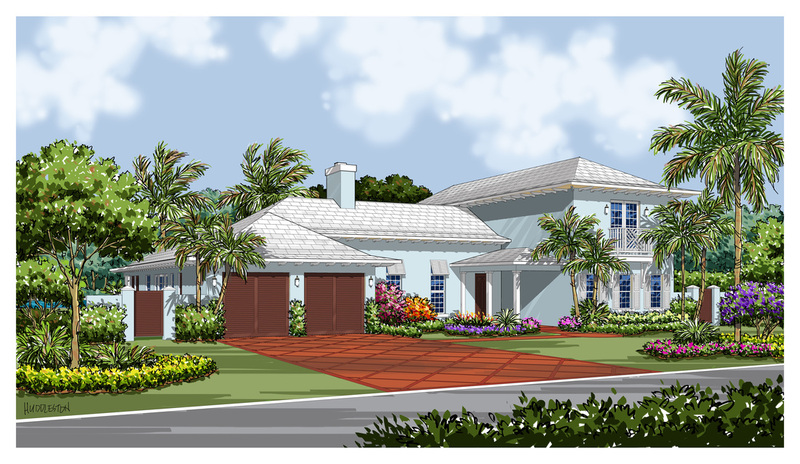 SPEC HOMES FOR "MONACO HOMES" A HIGH END DIVISION OF G.L. 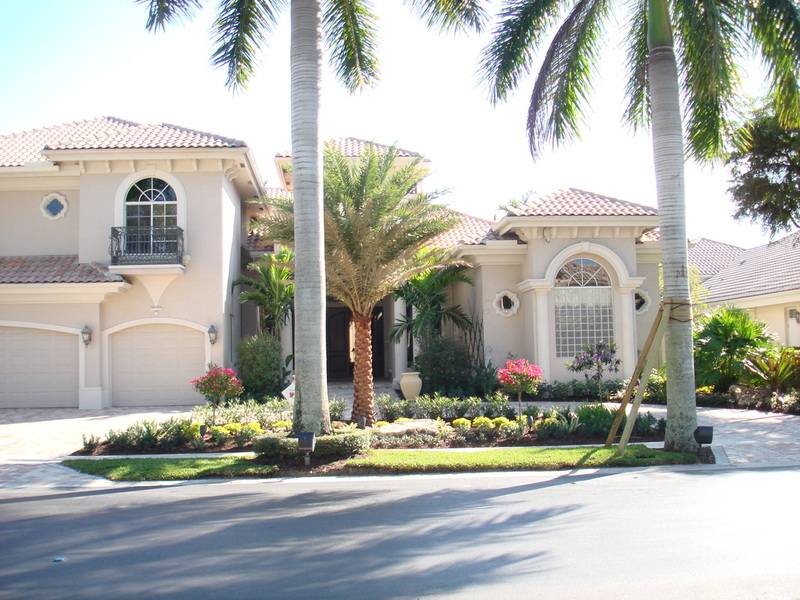 HOMES to edit.